Our Day Camp Programs, for children entering grades K-6, focuses on building confidence, strong character, and positive relationships within our safe, fun, and caring environment. Camps highly trained staff supervise campers at an impressive 1 staff member for every 3 children. We have the ability to provide day campers with activities and excitement that only a world-class resident camp and year-round outdoor center can offer. Each week has a different theme and day campers are able to participate in many of the same activities as our overnight campers. At Camp Jewell YMCA we want to make it as easy as possible to accommodate your needs as a parent. To accomplish this, all campers enjoy lunch every day, and it is included in the day camp fee. You can also take advantage of FREE pre-camp and post-camp care. Pre-camp begins as early as 7:30am and includes breakfast. Post-camp runs from the end of the camp day to 5:30pm and includes fun activities and a snack. 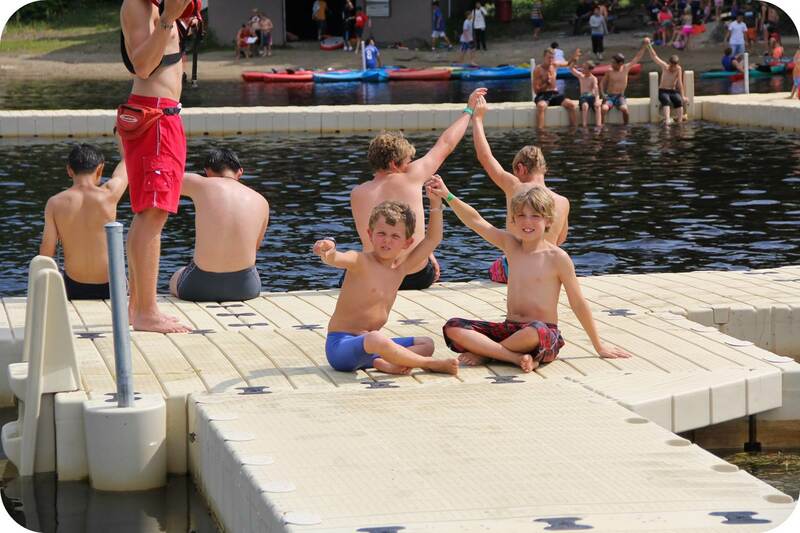 Plus, every Thursday campers aged 8 and older have the opportunity to stay overnight at camp to experience what it’s like to be an overnight camper! For more information on any of our summer camp programs, please contact camp.jewell@ghymca.org or visit one of our open houses! We recognize that families have different abilities to pay and have developed this voluntary four-tier fee structure to best meet everyone’s needs. Simply select the rate appropriate for your family’s budget. This is completely confidential and does not impact your child’s experience in any way. Most accurately accounts for the true cost of operating camp including food, staff salaries, supplies, wear and tear on equipment, transportation, and depreciation. Please pay this cost if you are able. A partially subsidized rate for those who cannot afford to pay the full costs associated with attending camp. A subsidized rate that only covers the basic costs associated with attending camp including, food, staff salaries and supplies. A variable rate made possible by donations to the Annual Campaign, for families who have need for financial assistance. To apply, please request an application form from Camp Jewell YMCA.